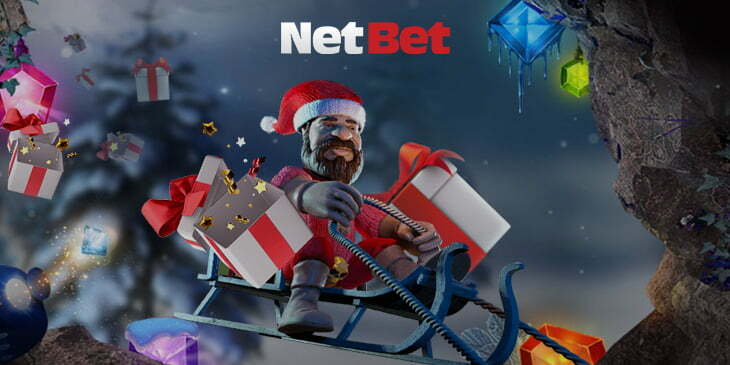 The NetBet Christmas Advent calendar countdown is underway. Join in with the fun from the 20th of November until the 31st of December. Everyone is in with an equal chance of winning a fabulous prize, which – if you’re lucky – could be a special gift delivered directly to the door. Simply log into your account and click onto the gift icon and then select the date to claim your Advent Calendar prize of the day. Don’t forget to request a gift every day up until the 31st of December. Although the Advent Calendar promotion is only open to customers that have already made a deposit since registration, new customers will also be eligible after a minimum cash deposit of $/£/€10. Every day, NetBet Casino will award various prizes on each day of the promotion period, and remember, anyone will be able to win. Winners of a special gift will be contacted by email to arrange delivery. If you prefer, a special gift can be exchanged for 80% of the cash value. NetBet Casino is licensed and regulated by the UK Gambling Commission, and so you can expect fair play the whole way. As the anticipation mounts towards the Christmas festivities and the Advent Calendar opens its doors to a daily gift, the chances are that you’ll win something.